Our collection of games like Combat Arms features other free to play first person shooters that use a modern game setting. Combat Arms is one of the largest free to play first person shooters attracting millions of registrations since it started in 2008. The game is set in a modern day time and features weapons and maps that you would expect to see in the present day. 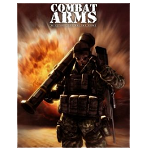 The Combat Arms experience is well known for its vast array of game modes and the robust ranking system that encourages players to improve their skill and reach the top of the rankings. The game isn’t just a multiplayer experience either and was one of the original games to introduce PvE game modes into the free to play shooter experience. Like the popular paid first person shooters that are available Combat Arms gives players the freedom to customise their gear load outs and use a number of abilities that help you define your playstyle and role on the team. The games like Combat Arms that you will find below feature mostly free to play options in the first person shooter genre. It does also include some paid to play games that are considered to have some of the best multiplayer gameplay around.